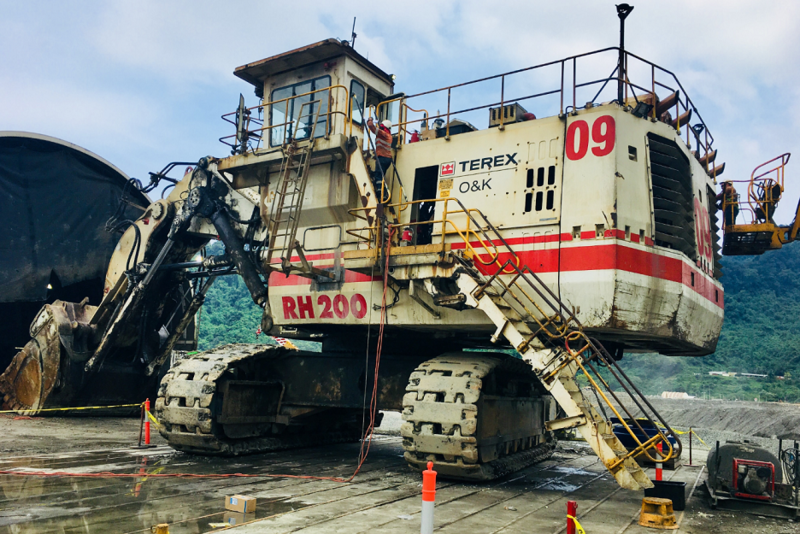 RCT’s Smart Technology solutions are helping to improve safety at Newcrest’s Lihir open cut mine in Papua New Guinea. The company’s ControlMaster® Teleremote solutions were installed on two CAT 6050 (Terex RH200) hydraulic shovels and two CAT D11T dozers. While RCT’s dealings with dozers are extensive, it is believed to be the first time a company has remote controlled a CAT 6050 (Terex RH200) on Teleremote. The solution removes the operator from the cab of the machine and relocates them to an air-conditioned cabin located outside of the open pit operations, enabling them to carry out work away from the mine face. Lihir is not only one of the largest gold deposits in the world; it is also located at Luise Caldera: an extinct volcanic crater that is geothermally active. Therefore Newcrest selected RCT’s technology to safeguard operators during the mining process. 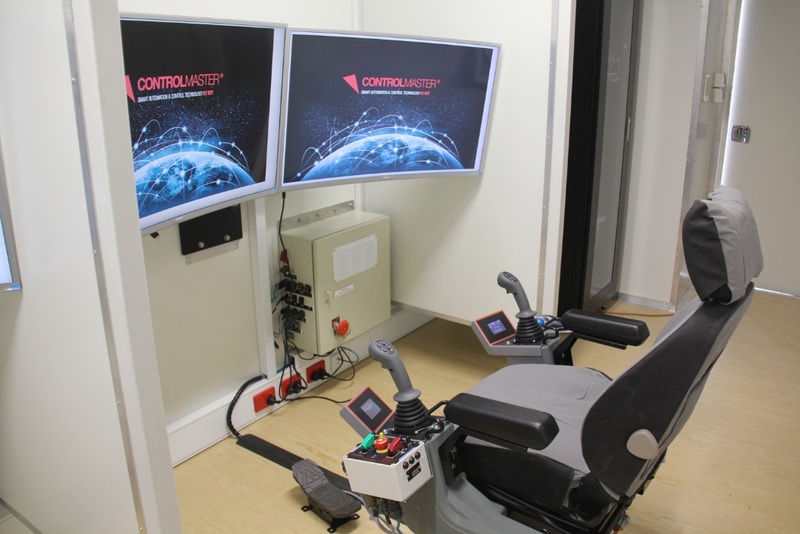 In this instance, Newcrest has installed a Control Centre, designed and manufactured by RCT’s Custom department. The station consists of two operator chairs, one equipped with shovel controls and the other with dozer controls to ensure that the machines can be operated simultaneously. Providing operators with a comfortable environment to work in also reduces fatigue and increases productivity. They are still armed with all the functionality and vision they would have if they were actually in the driver’s seat. “RCT’s level of support and response to our needs during the installation phase, and then afterwards, has been impressive. This was a pioneering project with many challenges, and this technology has successfully delivered improved levels of safety for our employees,” said Newcrest’s Group Manager Mining Technology, Tony Sprague. This project is just the start of an overarching mining technology strategy for Newcrest Lihir, and RCT is excited to be part of it. “It wasn’t a standard installation by any means. It’s a great example of RCT’s extensive capabilities and flexibility when it comes to projects,” said RCT’s Account Manager, Wayne Carrington.